Today I have an Anniversary card to share with you. I made this card for my mom to give to a dear friend of hers who is going to be celebrating her wedding anniversary soon. Since I knew I was going to be making an anniversary card I thought I would look through my JustRite stamps to see if I could find the perfect sentiment and I did! 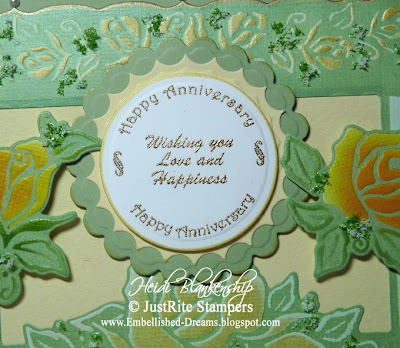 For the sentiment I used a border and a center from the JustRite Stampers Wedding Stamp Ensemble and a Harmony Classic Circle I 1-5/8'' Wooden Stamper. I stamped the sentiment using Tusukineko Brilliance, Galaxy Gold pigment ink and then I heat embossed the sentiment using Gold embossing powder from Ranger. I lined up one of my Circle Nestabilities from the Standard Circles Lg. S4-114 die templates from Spellbinders and cut and embossed the circle diecut using the Wizard Die Cutting and Embossing Tool. Then I made two more diecuts using the Classic Inverted Scalloped Circles Lg. S4-194 and Classic Scalloped Circles Lg. S4-124 die templates. I also inked the edges of each piece using the Galaxy Gold pigment ink and I added foam tape to the back of the green scalloped diecut and to the white center diecut. To make the card front I did a technique called Reverse Stenciling. 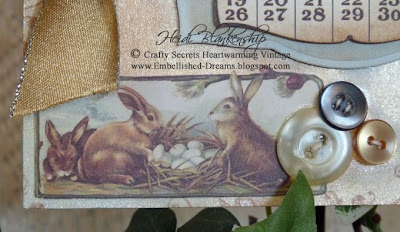 Click HERE to see a tutorial on Reverse Stenciling. Basically you ink the inside of the die before you make your sandwich with the mats and run it through the Wizard. On the light green cardstock I did the reverse stencil using the Rose Blossoms Edgeabilities S4-004 and the Borderabilities Petite Rose Border Sm. 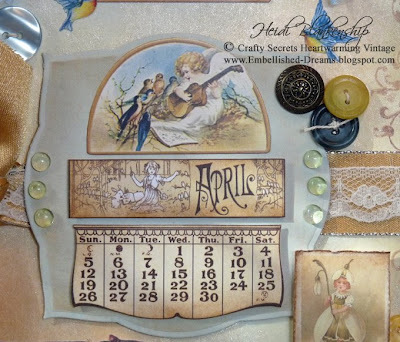 S4-164 die templates and Versa Magic Aloe Vera Chalk Ink. Then I took a cotton ball with the Galaxy Gold pigment ink and used the die template as a stencil while the cardstock was still in place to lightly ink the roses. For the two smaller rose diecuts I used Copic markers and the airbrush system to do the stenciling. The Copic markers are a little brighter and really make the roses pop! To finish off the card I added a beautiful golden yellow velvet ribbon to the bottom of the card and then I added a few pearls and some Ivory and Shamrock Green Flower Soft. 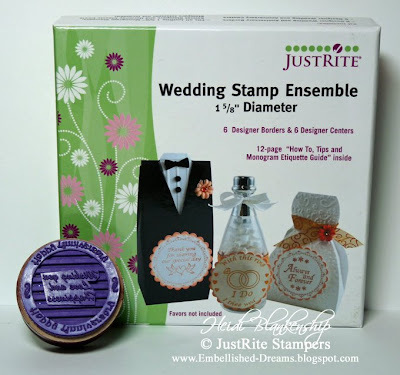 I also wanted to tell you that JustRite Stampers is Celebrating 300,000 HITS!!! 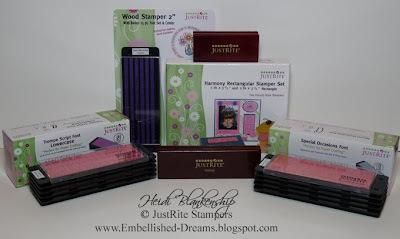 To celebrate JustRite Stampers is having a JustRite Make A Wish Blog Candy Giveaway!!! 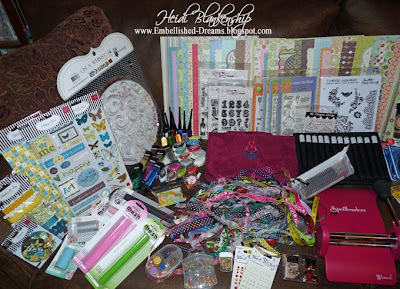 The Blog Candy ends Friday at Midnight so hop on over there to have a chance to win some really fun prizes!!! Click HERE for the link and Good Luck!! Thanks so much for stopping by today and I hope you have a great day!! 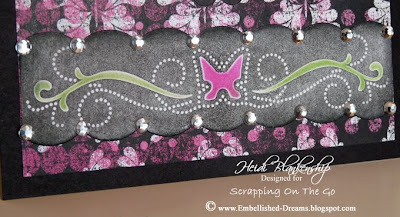 Spellbinders Demo at Scrapping on the Go! This past Saturday I spent the morning demoing at our LSS, Scrapping On The Go. 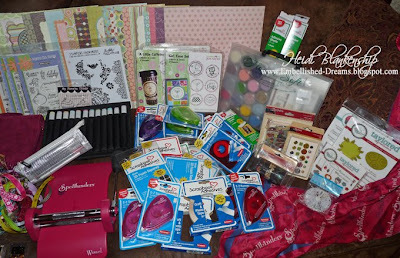 Tammy Marti, owner of Scrapping On The Go just started carrying Spellbinders products!! I had a lot of fun showing the ladies many of the fabulous techniques that can be done with the Wizard, Die Cutting and Embossing Tool and all of the Die Templates and the NEW Impressabilities. If you live in Albert Lea or any of the surrounding areas you should stop in at Scrapping On The Go, have a look around at all the fantastic products and say hello to Tammy. Here's the front cover of a Spellbinders Techniques book that I made for Tammy to be able to have at the store. For the cardstock with the butterflies I used a very pale piece of pink cardstock, Butterfly Impressabilites from Spellbinders and airbrushed using Copic markers. I also added a little sparkle with the Spica glitter pens. 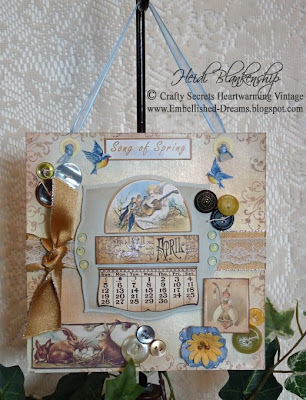 Awhile back I started designing some sample cards for Tammy to have on display at Scrapping On The Go and I have one of them to share with you today. I love the Glitz, Audrey Butterflies designer papers!! 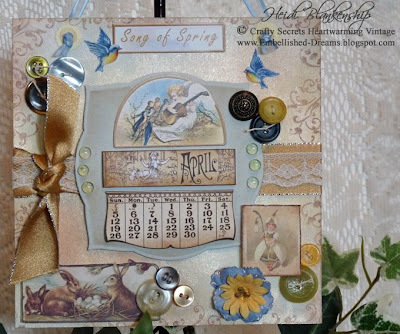 Using the Wizard, Die Cutting and Embossing Tool from Spellbinders and the Standard Circles Lg. S4-114, Classic Scalloped Circles Lg. S4-124 die templates I cut and embossed the circle diecuts. 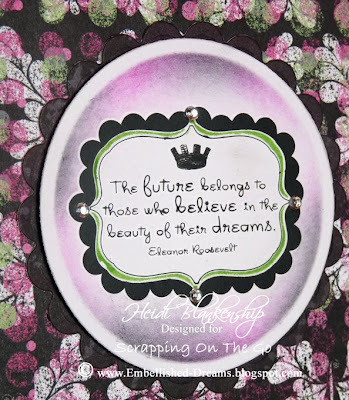 I used a rub-on from Pink Paislee to add a sentiment to the classic circle and then I put the diecut back into the die template and inked the inside edges using pink and black ink. A green marker was used to fill in the outline around the sentiment and I added a few tiny rhinestones to the frame. 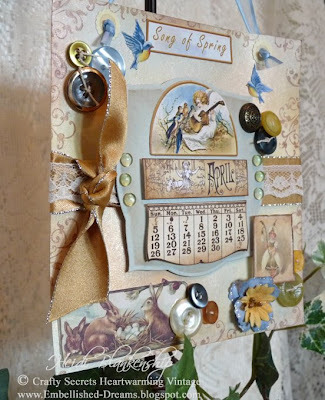 I used the Pierceabilites Fancy Scalloped Butterfly S4-173 die template to make the beautiful border along the bottom of the card. But guess what? I didn't pierce the paper! Instead of doing the piercing I did the Reverse Stencil Technique. If you don't know what the Reverse Stencil Technique is you can click HERE to see a tutorial. I used white cardstock and black ink for the Reverse Stencil and it leaves you with perfect little white dots--no piercing--gotta love that!! (Thanks Kim!! *wink*) Before I removed the diecut from the template I used the die as a stencil and with a cotton ball and some pink and green ink I added color to the butterfly and flourishes. I also added some larger rhinestones for a little bling. In the top corners I also added some pink ribbon with black brads. Thanks so much for stopping by today! I hope you have a fantastic week!! I'm back home from the Spellbinders retreat in Phoenix and OMGosh what an Amazing time we had!!! 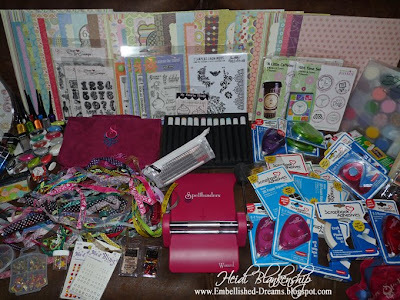 It was so fantastic meeting all of the new ladies in the Spellbinders Design Team!! You are all in for a real treat this year, they are all so amazingly talented and a truly wonderful group of ladies!! I have to say a HUGE Thank You to Stacey and Jeff Caron, Kim, Cathy, Eli, Terre and everyone in the office at Spellbinders who helped to make the retreat so completely Fabulous!!! I know they all put a lot of time and work into the retreat. We missed Beth, as she was at a Distributor’s event in California, but we called her a couple of times from Cathy's phone so we could all tell her hello! We were pampered like queens with all kinds of goodies from the time we arrived. We received numerous Spellbinders products such as the New Raspberry Wizard, die templates and the New Impressabilities (Love them!!!). There were also lots of surprises! Each day when we would return to our rooms we would find sweet little gifts and goodies from Stacey on our beds, fun things for pampering ourselves. We were also given some truly amazing Cross Promotional Products from many different companies and they were very generous!! And if that wasn't enough we also had a few surprise guests! 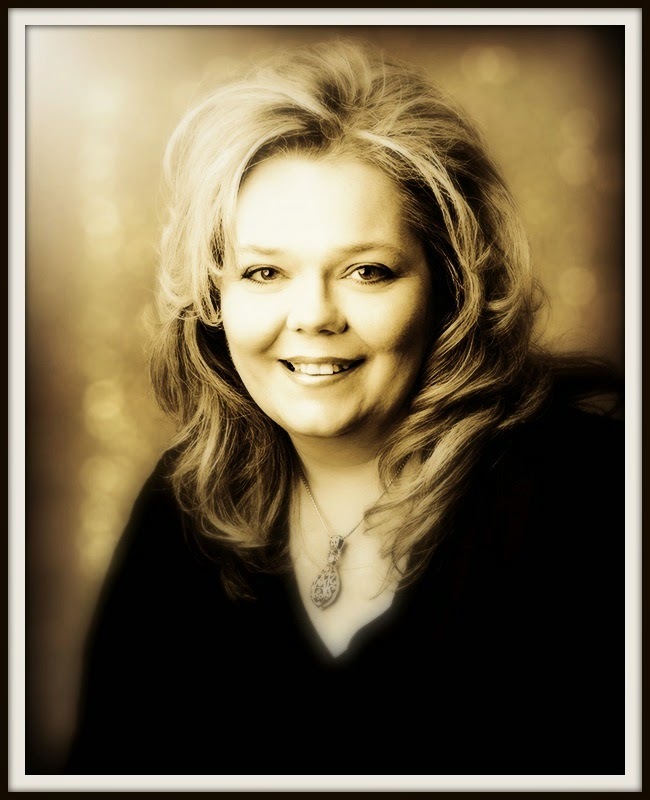 Tobi Hall, VP of Marketing for Spellbinders came and gave us a wonderful presentation about Marketing. Katherine “Kat” George, Design Consultant had a presentation on Design Principal. I also joined in and taught a session on how to condition JustRite stamps. 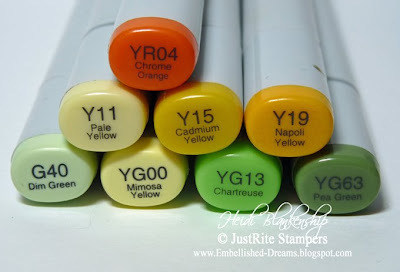 Ok, now this is the BIG ONE---Marianne Walker, the Queen of Copics from Copic Markers came to teach us all about Copic Markers and the Airbrush System. She is so amazing!!! Marianne spent two days with us it was a wonderful refresher for myself and for all of the ladies who weren't certified well guess what--now they are!!! The excitement in the room was hard to contain to say the least!! Here's a few pictures of some of the wonderful products I was able to bring home--this is just what would fit in my suitcase!! There is more being shipped out!! Like I said the various companies were very generous with the Cross Promotional Products!! Thank you so much to all of the wonderful ladies on the Spellbinders 2009-2010 Design Team!!! We had many laughs, a few tears and a ton of memories were made with friendships that I know will be lasting!! 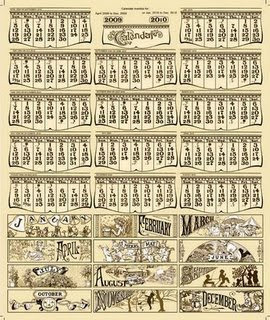 Here's to a Fabulous Year with Spellbinders!!! I will be posting more pictures from the retreat and some design work very soon! Also if you would like to check out the Spellbinders Design Team I have added a blog roll in my sidebar with all of the ladies on the DT that have blogs and you can also find out more about the DT on the Spellbinders Blog. Thanks so much for stopping by today and I hope you have a wonderful week!! Spellbinders 2009-2010 Design Team Retreat!!! 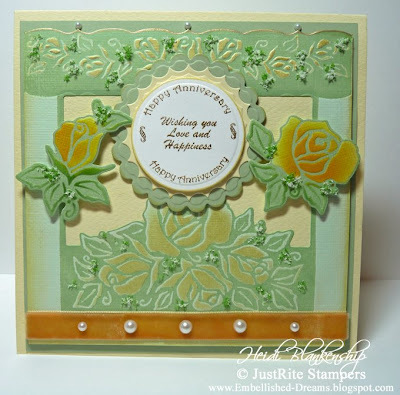 Today, JustRite Stampers is having the first ever JustRite Blog Hop! I am very excited to see what all of the ladies on the JustRite Blog Team have created for todays blog hop!! Below is a list of all the Design Team Members so you can be sure to check them all out. 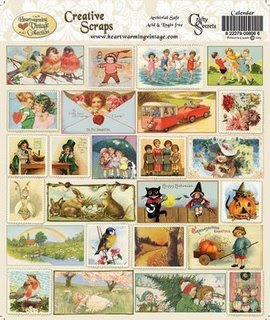 You will also want to check out the JustRite Stampers Blog as today is the second day with Becca Feeken as the Guest Blogger for JustRite Stampers. I also wanted to let you know that Release #1 from JustRite Stampers is NOW IN STOCK AND SHIPPING!!! You can see all of the #1 Releases on the JustRite Website, click HERE to check out all of the New Products. 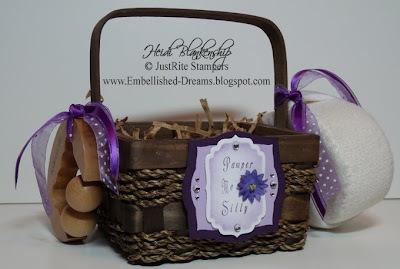 For today's JustRite Blog Hop the project that I have to share with you is a PMS basket, Pamper Me Silly. It's an easy project to alter and makes a fun gift for a girlfriend. 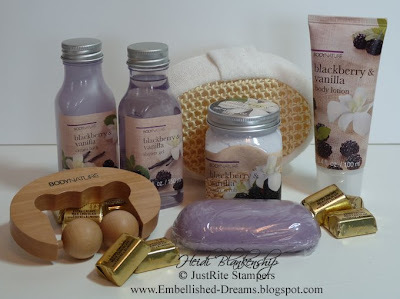 You can fill the basket with a variety of items for pampering. Here's a before picture of the items that I used for my PMS basket. I started out by choosing some paper to make my wraps around the different containers. The solid colored cardstock is from WorldWin and I used a sheet of designer paper from the Crafty Secrets Classic Designer Paper Pad. Once I had the wraps done then I started working on the labels. To make the labels I used the NEW 15 pt. 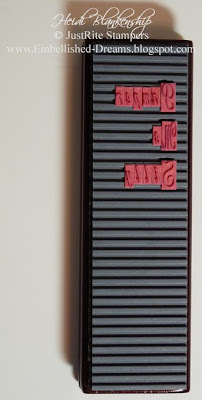 Times New Roman Font Set from JustRite Stampers. The font set is included with the NEW 2'' Wood Stamper as a bonus. 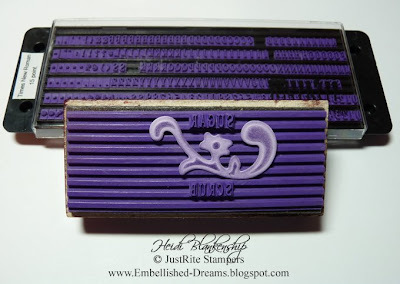 I also used the smaller wood stamper from the Harmony Rectangular Stamper Set. 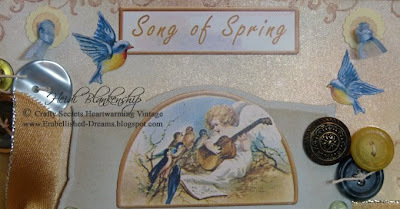 I used Dusty Concord Distress Ink from Ranger to stamp the sentiments for each of the labels onto white cardstock. I wanted to do a reverse stencil on the centers so I inked the inside of the die templates with Wisteria ColorBox Chalk Ink. Then I cut out the center for the labels using my Wizard and the Standard Circle Nestibilities Lg. S4-114 die templates. The Sugar Scrub container was just a little bit different as I used the next larger size for the die templates to cover up the original label on the container. I also wanted to add a flourish diecut to the center, so to make sure I would have the letters lined up correctly I made the flourish diecut using the Floral Accents S4-199 die templates and then I placed it on the wood stamped. The label for the Body Lotion is a larger one too so I could cover up the original label. On the Body Lotion I also used the Classic Scalloped Circle Nestabilities Lg. S4-124 die templates for a mat behind the center. On all of the containers I cut and embossed another diecut to use for a mat behind the centers. To do this I used the Labels Three S4-189 die templates with cardstock for WorldWin. I adhered the the mats to the containers and then for the centers I added some foam tape for dimension. Once all of the labels were on then I made several flourish diecuts using the Floral Accents S4-199 die templates. Before I removed the cardstock I used the die templates as a stencil and inked the embossed areas. For the tops on the Shower Gel, Bath Cream I added a small flower diecut made from the Flower Bouquet S4-200 die templates. On the Sugar Scrub lid I made a decorative topper using the same cardstock as mentioned above and the Circle, Scalloped Circle and Flower Bouquet die templates. After the containers had the labels, mats and flourishes on then I added some rhinestones. Some of the rhinestones were colored using a Copic marker, V17 Amethyst. 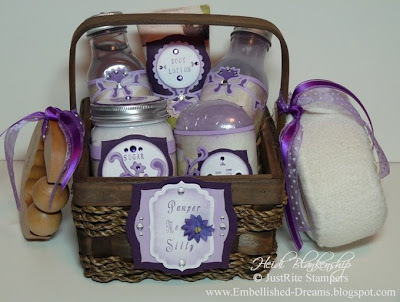 For the label on the basket I used the NEW 1-1/2'' x 5'' Vertical Wood Stamper from JustRite Stampers along with the Special Occasions Font Set (uppercase) and the NEW Lowercase Trompe Script Font Set. First I stamped the sentiment and then I cut it out using the Labels Four S4-190 die template. I inked the inside edges with the same ink as mentioned above. Then I cut and embossed two diecuts using the Labels Three S4-189 die templates. I also added so rhinestones and a prima flower. 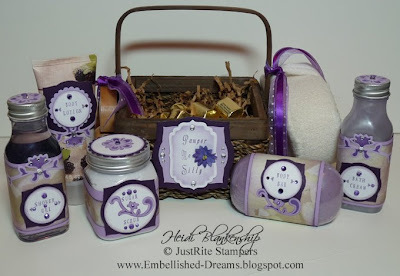 Here is a picture of all the JustRite Stampers products that I used to make this project. Thank you so much for stopping by today and don't forget to check out all of the blogs on the JustRite CHA Release #1 Blog Hop! The First Ever JustRite Design Team Blog Hop on Tuesday!! Hello! 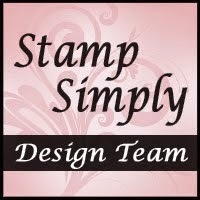 This is going to be a quick one today, I don't have any new designs to share with you today but I wanted to let you know that tomorrow (Tuesday, April 7th) JustRite Stampers is going to be having the first ever JustRite Design Team Blog Hop!! 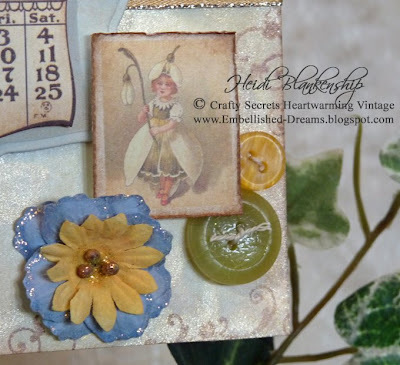 I have been busy working on my project and I am so excited about the JustRtie Blog Hop! I can't wait to see what beautiful creations the other design team members have created!! So please check back tomorrow for the JustRite Design Team Blog Hop!! 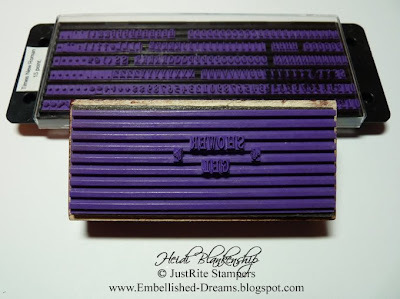 Also starting today Becca Feeken is the Guest Blogger on the JustRite Stampers Blog. You have to check it out, Becca does amazing work!! Paper~Cryogen White, My Minds Eye Designer Paper-BellaBella "French Flea Market"
I want to say a warm welcome to Melissa Phillips and Michelle Van Etten, both of these very talented ladies have joined the Crafty Secrets Design Team. Please be sure to check out there blogs and see the beautiful creations they have made. Also, I have all of the Crafty Secrets Design Team Members blogs listed in my side bar, so be sure to check them out too! Thank you so much for stopping by today and I hope you have a Wonderful Day!